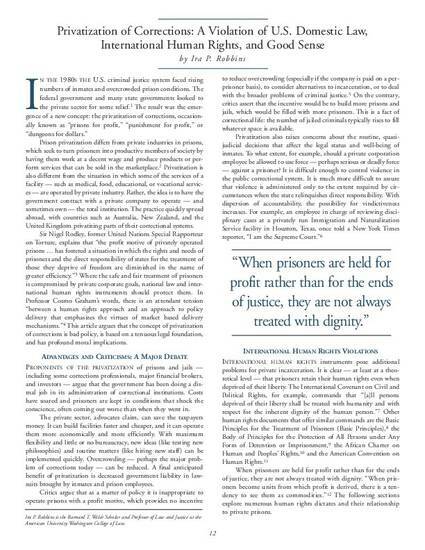 Robbins, Ira P. "Privatization of Corrections: A Violation of U.S. Domestic Law, International Human Rights, and Good Sense." Human Rights Brief 13, no. 3 (2006): 12-16.